The car started to run hot yesterday and I pulled over and took the upper radiator hose off and air blew out along with coolant. Left it off for a few minutes then pour more coolant into the block and car ran just fine. This same thing happened a week prior. I went ahead and changed the thermostat but wanted to know how to remove air pockets. The radiator and water pump are less than a year old. The engine was replaced a year ago as well. 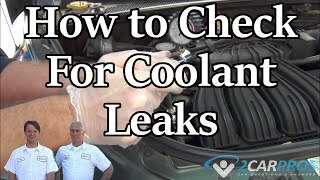 If you did the same thing a week prior, the coolant is going somewhere, it cannot just evaporate from a closed cooling system. Inspect around/below the water pump and radiator for signs of a leak or dried white crust that would indicate a leak that is drying instead of making it to the ground. If no leaks can be found, you may want to chemical test it for a blown head gasket, not unheard of for these vehicles. Check these out and report back with what you find. I have replaced, with new parts, the thermostat and the radiator this month. Overheating still persists although less severely. What am I missing? Flush the cooling system and check cylinder compression. Range Rover 4.0 V8 123,000 miles. I had overheating problems before so I changed the coolant, radiator and thermostat. Although a bit better, the problem persists. As soon as you start driving again, the temperature goes back to normal. The system pressurizes well and the coolant level is stable. Could it be a water pump problem? Mechanical fan? If so try a fan clutch. Car overheats if driven for two to three miles but does not overheat parked and idling. Thermostat looks to be okay. I flushed the system as well but problem persists. I suspect water pump but do not know how to check if it is pumping. If it is the pump I cannot get to all the bolts with the fan attached to the shaft. Can you please detail pump removal steps? Including how to get fan with clutch off the car. One way to test for a bad water pump is to squeeze the upper radiator hose when the engine is hot and idling. Careful, because the hose will be hot! If you do not feel much coolant circulating through the hose when you rev the engine, the pump may be bad. The other cause might be a bad thermostat that is not opening properly (remove and inspect the thermostat), or a clogged radiator.